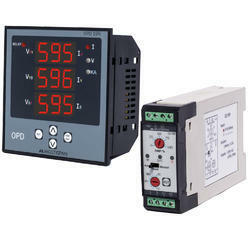 We are a leading Manufacturer of counter meter, digital temperature controllers, hot runner temperature control system, multispan programmable controller, pid controllers and protection devices relays from Jaipur, India. 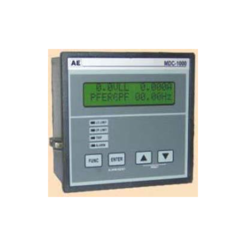 Our products continue to set the standard for quality with each of Counter Meter. Backed by an adept team of professionals, we are offering a wide range of Hot Runner Temperature Control System. The offered control system is manufactured using the best grade factor inputs and advanced technology in compliance with the set industry norms. Our offered control system is strictly tested on different quality measures assuring its flawlessness at user’s premises. Patrons can avail this control system from us at pocket-friendly rates. All zones are managed as a system.This reduces peak demand electrical consumption. Max Power limits power consumption to meet availability. Add mobile racks, transformers, remote display kit, special cable systems, etc. Auto and Manual Control Modes: High-Speed Time proportioning selective Cycle. 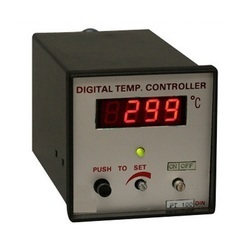 Temperature Range: Ambient to 999F/600 c.
Control Accuracy: +/-1F/0.5C dependent on the total thermal system. Calibration Accuracy: Better than 0.2%of full scale. Thermocouple Sensor: Type J or K, grounded or ungrounded. T/C Isolation: Isolated by a control circuit power supply. T/C Break, Reversed & Shorted Protection: Automatically inhibits bumpless transfer. 15AMP Fuses/MCB are provided on the input side. Transient Protection: dv/dt andtransient pulse suppression included. Set Point Adjustment: Push-button up & down arrow keys. 100% Power Selection: Push-button switch with LED indicator adjacent. Set Point Display: Three 0.4", seven-segment digit display. 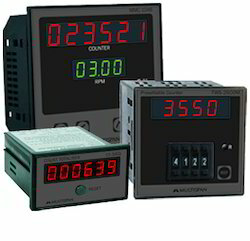 Process Display: Three 0.56", seven-segment digit display. 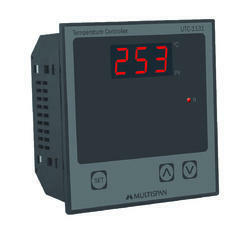 We Deal in a high quality of Multispan Programmable Controller. 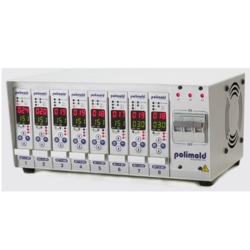 We Deal in PID Controllers which is widely used in industrial control systems and a variety of other applications requiring continuously modulated control. 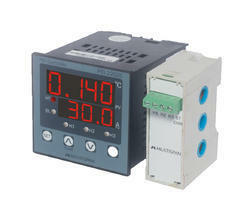 we are a supplier of Maximum Demand Controller.